Everywhere you walk, you are probably surrounded by wild edible weeds. These plants likely have among them some great edible as well as medicinal species. It is truly amazing how many useful weeds are pulled or poisoned in peoples gardens everyday throughout the world, yet so many of those could go to better use. To gain a better understanding of edible weeds, let us look at what makes a weed, a weed. a valueless plant growing wild, esp. one that grows on cultivated ground to the exclusion or injury of the desired crop. any undesirable or troublesome plant, esp. one that grows profusely where it is not wanted: The vacant lot was covered with weeds. These two definitions capture the feeling most people harbor towards species commonly referred to as "weeds." Given the great many benefits of edible weeds, it might be helpful to look at these wonderful plants in a new light. 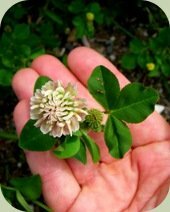 Working with these plants can help change your perspective on such notoriously misunderstood plants as dandelion, chickweed, stinging nettle, plantain, white clover and many others. Besides providing many necessary biological functions in the environment, these plants can also be a source of great enjoyment in the kitchen. Below you will find details of how these plants can be worked with and utilized. For identification purposes, see the resources section at the end of the article. Here is a list of a few you are likely to find around your neighborhood paths, gardens and empty lots or waste places. Young dandelion leaves and flower heads are great in salads or even in sandwiches as a garnish. Older leaves although still edible, tend to be bitter in taste. Dandelions can be turned into a wine. The flowers can also be dipped in batter and fried as fritters. Leaves can also be used in place of basil in a good pesto recipe. Dandelion is rich in vitamins A, C,E and B-complex as well as containing iron, protein and trace minerals. The entire plant can be eaten raw in salads or sandwiches. It is one of the most enjoyable salad greens. It is occasionally even sold at restaurants and wild food markets. The leaves and stems, especially those of younger plants are tasty in salad or cooked like spinach. Members of this family have been used for thousands of years by Native peoples of Central and South America. Multiple forms of this plant are grown commercially for greens or for the seed (grain). This surprising plant might seem like an unlikely edible weed, but it is one of the best. The entire young shoots (8-14 inches tall) can be harvested and cooked like spinach. If collected in excess, nettle can be frozen and used later for stir-fries, soups, and many other meals. Also, stinging nettle can be dried and used as an excellent tea and infusion. This edible weed is high in iron, calcium, potassium, manganese and vitamins, A, C and D.
This plant is known to provide an excellent root vegetable, one that is even sold in health food markets. It can be baked, stir-fried or added to soups. The key is to gather this edible weed when it is young (first year roots are less bitter). This member of the mustard family packs a lot of flavor in little packages. The seeds of all mustard species can be dried or used fresh as a substitute for black pepper. The green, heart-shaped seed capsules of this species can make a nice addition to a salad. Also, greens of many mustard species, including shepard's purse, can be cooked and used as are commercially available mustard greens. A variety of different species of wild rose grow many places, including in many abandoned lots. The flower petals can be collected and dried for tea. Also, the rosehips have an edible flesh and are rich in vitamin C. They can be made into jellies or added to honey for an amazing tasting treat. Be careful to clean out all seeds and fuzz from inside the hips, as these can irritate the digestive track. Sheep Sorrel (Rumex acetosella): This little weed has a big, sour taste that is great mixed into salads and soups. This edible weed is rich in vitamin C, A, and Beta-carotene. Consume it in moderation, as the oxalic acid that gives it that great sour taste can upset the stomach in large quantities. Earn a Certificate in Wilderness Skills Education. Apply to Our Wilderness Certification Course Today! Here are some things to think about when going out to harvest and consume those wonderful, edible weeds. Is the location you are gathering from free of obvious signs of pollution or chemical pesticides or herbicides? Is it right next to a busy road and accumulating car exhaust? What other hazards might be found in your area when gathering edible weeds? It is unsafe to harvest in areas where pollutants, pesticides, herbicides or other chemicals are present. What function are the plants providing where they are growing and how will harvesting them effect that location? How many plants of that variety are there in the location you are intending to collect from? It is important to collect from abundant stands of plants so as to allow them to thrive well into the future. Don't collect plants that are growing alone, without any other species of its kind around it. How might you help grow them in your yard or garden? Be open to setting aside an area of your yard, garden or nearby open space for growing edible weeds. A little bit of care-taking can go a long way for these species. For example, dandelions grown in a prepared bed will grow much larger, less bitter and overall more palatable. With these ideas in mind, you will be on your way to collecting some tasty wild edible weeds in no time! In time, your thoughts on exactly what can be called a "weed" may take on a dramatic transformation. It is important to learn to properly identify edible weeds before you harvest and consume them. An excellent starting point is picking up a few good field guides and/or taking a class. 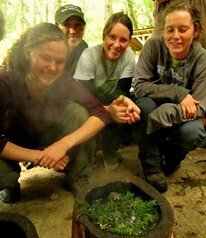 Alderleaf Wilderness College offers Wild Edible & Medicinal Plants Courses.